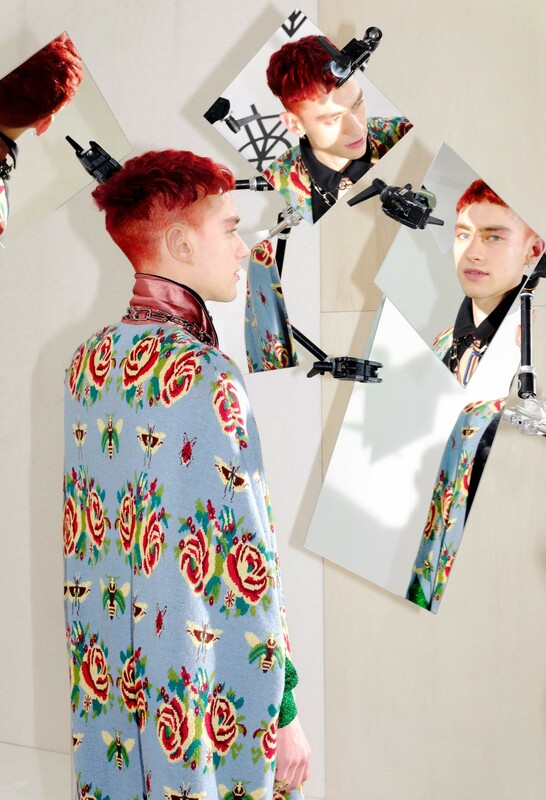 “It’s like my Rihanna Loud era,” declares Olly Alexander, before breaking into a laugh. The Years & Years frontman is referring to his cropped curly hair, which is freshly coloured to the hue of a nice Merlot. It’s a cold February evening, and he’s puffing on a roll-up while huddled in the fire exit doorway of a Camden venue. His new dye job has to be kept under wraps, he explains, until its official unveiling in the band’s new video. “It’s so stupid,” Olly says with an eye roll. He then flashes me a grin, suggesting that this moment of starry subterfuge is not entirely unwelcome. 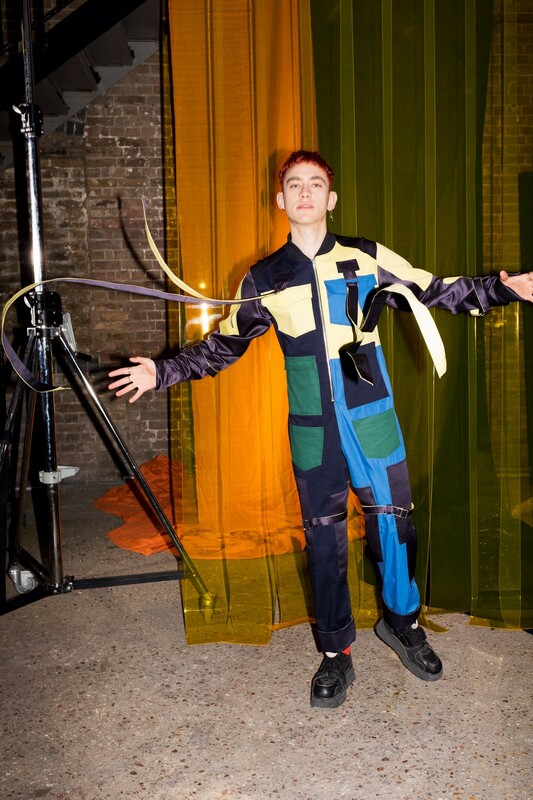 Olly Alexander really likes being a pop star. He says that it’s full of “fairytale” moments, like when his Years & Years earnings enabled him to buy his mum a house, or when he and his ex-boyfriend, Neil Milan (formerly of Clean Bandit), became embraced as British pop’s new golden couple. After winning the BBC Sound poll in 2015, Years & Years’ earworm synth pop was everywhere. They had an inescapable number one single, “King”, and their album Communion was the fastest selling debut that year from a signed British band. Olly says that there are downsides to the tabloid headlines and Twitter trolls that come along with being “a public gay man” – a phrase that he puts in self-deprecating air quotes. But right now, those pressures feel far away, as he prepares to change into a bright pink boiler suit and play to a boozed-up Saturday night crowd, at an Annie Mac-curated showcase. Or, as he put it on Twitter earlier today: bring his “gay agenda” to The Roundhouse. 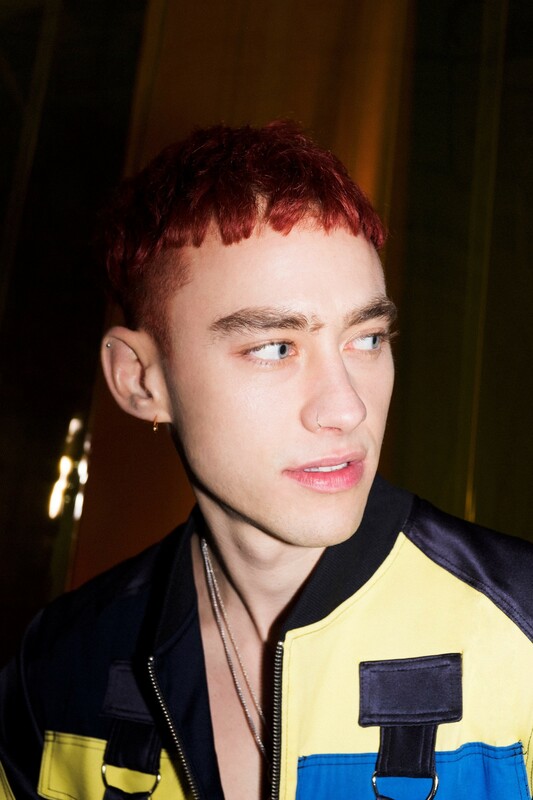 Years & Years are far from the first mainstream British pop act to proudly put gay sexuality at the centre of their music – that’s a lineage that runs from Will Young to George Michael, Pet Shop Boys to Bronski Beat, and beyond. But Olly’s performances are a reminder that mainstream pop can be open to explicit queerness (at least, when it’s embodied in a handsome white cis man). Olly has faith that you don’t have to be “generic to be palatable,” and that “straight guys can hear a song that I’ve written about being fucked by another guy, but still relate.” LGBTQ+ people like me grew up seeing straight culture pretty much everywhere; seeing more of our community thrive is crucial. Growing up in the Forest of Dean, Gloucestershire, Olly was a flamboyant kid. That got him bullied at school, called a “batty boy” before he was even aware that he was gay, and meant that he retreated into drama lessons. While acting, he felt it was okay – a good thing, even – to be expressive. He always nurtured a passion for music, too; he taught himself how to play Joni Mitchell songs on piano, and obsessed over “Dirrty”-era Christina Aguilera. An early performance at a year six assembly blended intimate songwriting and outré entertainment: Olly played piano and sang lyrics about lost love, while two of his friends did a dance routine.